The World-Famous Pacific Park against the setting sun. I’ve wanted to create this photo for a while and it came together perfectly. 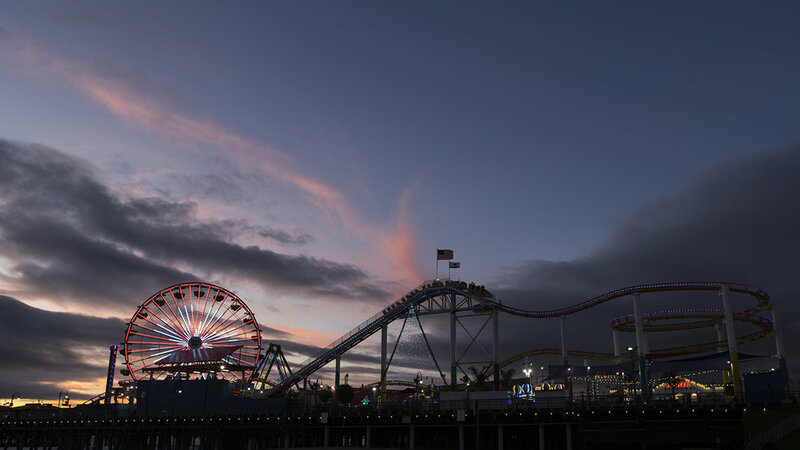 The lights and motion of the rides set against a background of dark clouds and a setting sun. I still find it astonishing that there is a theme park on a pier, but it sure it pretty.